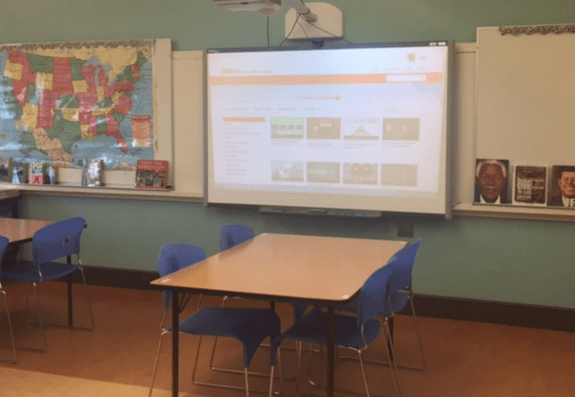 US History teacher Jennifer Hesseltine combined TED-Ed Lessons with an interactive blackboard to create a digital homework space that students love. Let’s redesign homework. When’s the last time your students got excited to do homework? Or said things like, “Wow…just WOW. It is amazing how much is out there that we just don’t know about”? What if every homework assignment could expand a student’s worldview while engaging a kid’s natural curiosity? One middle school teacher took on this challenge — so you don’t have to. 1. Go to TED-Ed and create a lesson. This will be your next homework assignment. You can either create a lesson using any engaging video of your choice, or simply customize an existing TED-Ed Original or TED-Ed Select lesson. If you need help creating a lesson, read this. If you need help customizing a lesson, read this. 2. 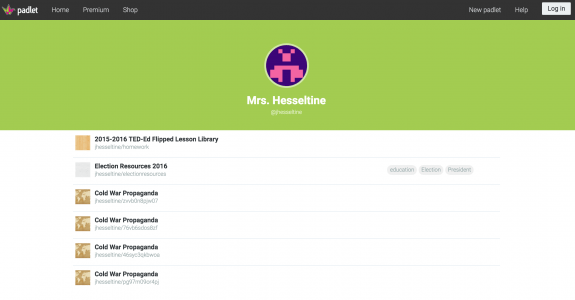 Create space for lessons in your current learning management system. This is your new digital homework space. Give this homework space a fun title and a quick description. For inspiration, check out mine on Padlet. You don’t have to use Padlet — your school’s current interactive learning tools will probably work fine for this project. For more options, check out a few teacher-recommended apps or try the free tools for teachers from Google, Apple and Microsoft. 3. 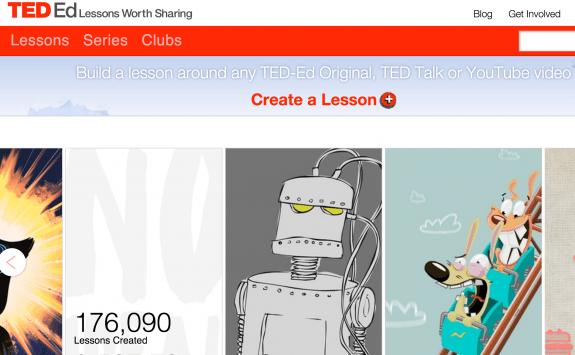 Add your TED-Ed lesson to your digital homework space using the customized lesson link. If you need help sharing a customized lesson link, read this. Easy, right? You can complete Steps 1-3 of this project today. 4. Add and remove lessons often from your digital homework space to keep the content fresh and exciting for students. 5. Take the opportunity in class to highlight the latest lessons. I always take 5-10 minutes to show students the new lessons I have added (and always make sure to tell them about my favorites). 6. Share the link to your digital homework space once with students at the beginning of the school year. Your students will have access to any of your recommended TED-Ed Lessons for the remainder of the school year. I gave my students a list of due dates for the entire school year so that students can plan ahead to complete the assignments. 7. Be prepared for student engagement and student feedback. 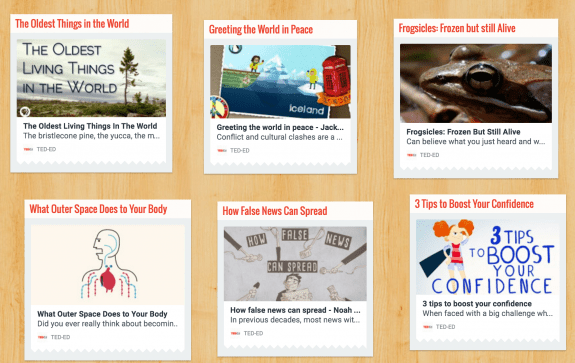 Students will likely start going directly to the TED-Ed website and giving you ideas of which lessons they would like to see on the homework space, and/or they will want to create some lessons of their own! As a matter of fact…a few of my students have helped to create homework lessons. An example of a lesson inspired by an 8th grade student (who approached me with the video and created the questions in the “Think” section) is “Francine’s Interview.” This student’s lesson, as one would imagine, is a favorite among her peers. Send reminders to students about upcoming homework assignments since the assignment due dates are not on a regular schedule (i.e. — due every day, or every other day). Students forget about upcoming assignments since the assignments are all digital, and the due dates are spaced more than one week apart. Prepare for students who either do not have internet access, or have a difficult time accessing a working computer/piece of technology outside of school. We need to work together to figure out times each week for them to access their homework. I have been very flexible with students in this regard, and will continue to work with these students to be sure that they have a fair opportunity to complete the homework assignments. This article is part of the TED-Ed Innovation Project series, which highlights 25+ TED-Ed Innovation Projects designed by educators, for educators, with the support and guidance of the TED-Ed Innovative Educator program. You are welcome to share, duplicate and modify projects under this Creative Commons license to meet the needs of students and teachers. To get started, click here to take the first step. Thank you so much for sharing this idea; it is exactly what I was looking for. I work with gifted students in two schools. This year, I am pushing in and co-teaching to provide services, but that means I don’t see every student every day. I can’t wait to introduce this to them. I think this will be a fabulous way to keep providing them with top-notch, curated content that correlates with their classroom learning, even when I’m not there. So excited! 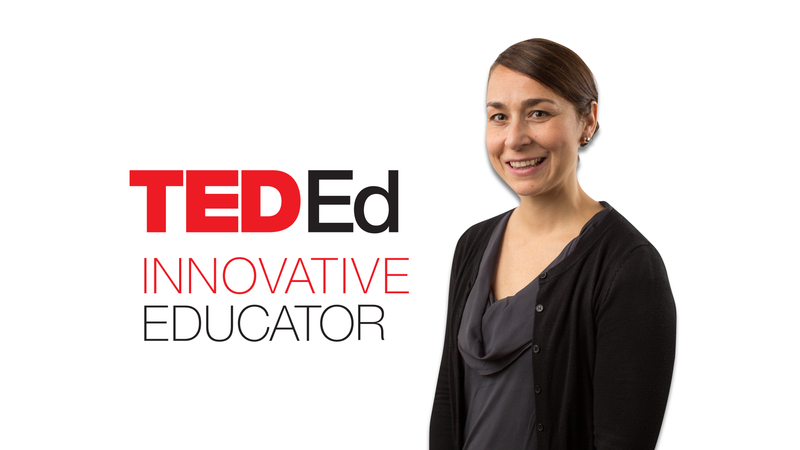 Jennifer Hesseltine, a teacher in New York, is a participant in the TED-Ed Innovative Educator program.